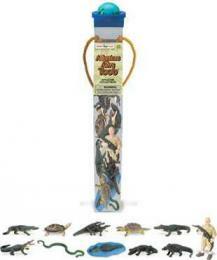 Alligator Toy Miniature Large Alligator with babies at Animal World® is alligator lover play fun. 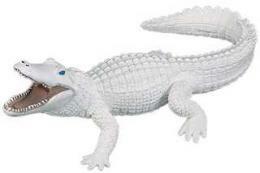 Featuring soft, durable colorfast detailed plastic this Alligator with babies is perfect for play fun, education, imagination, school projects and measures a large 12"L x 6"W x 3.25"H. ** Caution Small Parts Recommended Ages 3 years and up. 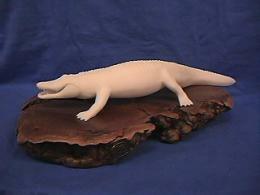 ** To shop all our Alligator Lover Theme Gifts click here: Alligator Gift Collectibles at Animal World® To shop all our Animal Toy Miniatures click here: Animal Toy Replicas at Animal World®.